Curious what goes on behind the scenes? Check out our movie set diagram to learn about all the cool devices used to bring a film to life! Your young movie-lover will read about the function of the lighting grid, diffuser, clapperboard, and more, then fill out a crossword puzzle. This challenging crossword will have him puzzling over all things winter. Use clues to fill in the boxes in this crossword puzzle, and learn more about freshwater fish along the way. Prepare kids for year six with this crossword puzzle full of new vocabulary words! Celebrate Christmas with your 5th grader with this vocabulary crossword puzzle. Use the winter-themed clues to practise reading and writing. Help your child figure this out with this cold-blooded animal crossword puzzle worksheet. When your students complete this crossword puzzle they will be introduced to a variety of words that are commonly seen in year 6 texts and basal readers. 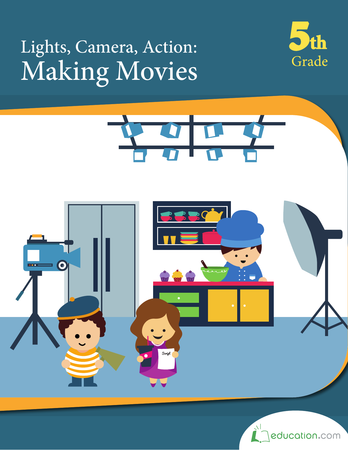 Hands-on movie activities bring to life vocabulary and reading comprehension. Fill in this answer and use other clues to complete the worksheet. Learn about extinct animals as you go! 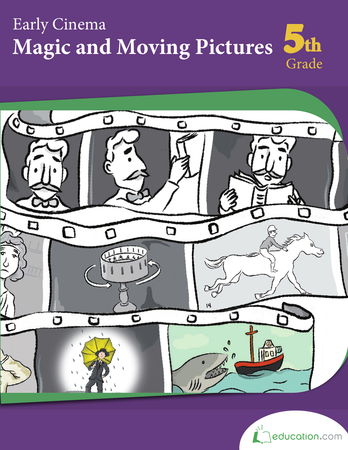 Learn about amazing works of early cinema with this reading and writing workbook. Pick up fun movie trivia as you complete puzzles, watch your fave movies, make film-inspired crafts, and more. Camera angles help to tell the story in a movie. Your budding cinephile will read about various camera angles and be inspired to get behind the lens himself!